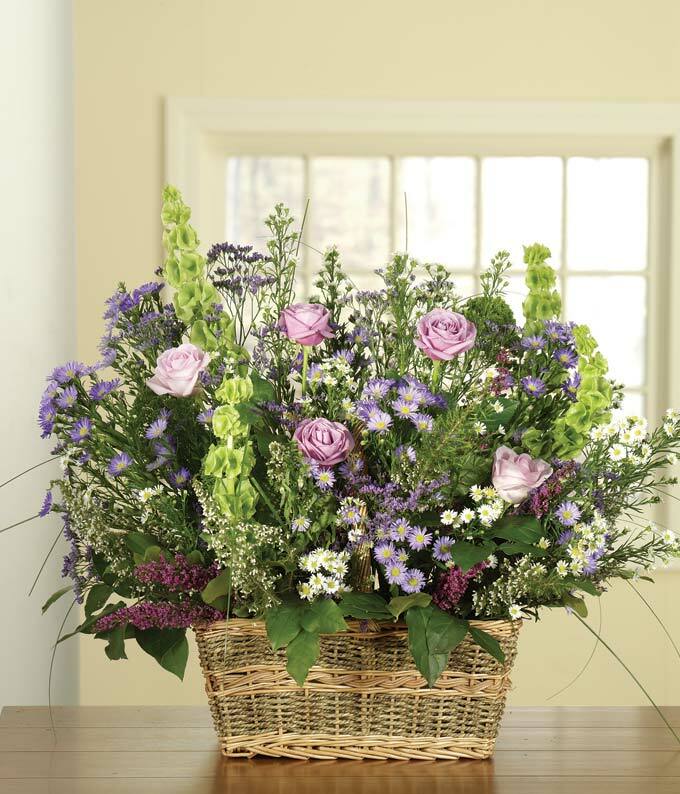 Let someone know you are thinking about them at this difficult time by sending this basket to convey your sympathy. Lovely purple and white roses, bells of Ireland, heather, aster 'monte cassino', trachelium and fresh greenery are delicately arranged in a willow rope basket. Measures approximately 37"H x 27"W x 21"D.